Rancho Cucamonga has planned a fun Veterans Day Celebration and Community Picnic. The fun will include music, military vehicle display and letter writing to Veterans and more. Bring the kids and meet a Veteran it could be a history lesson come to life. 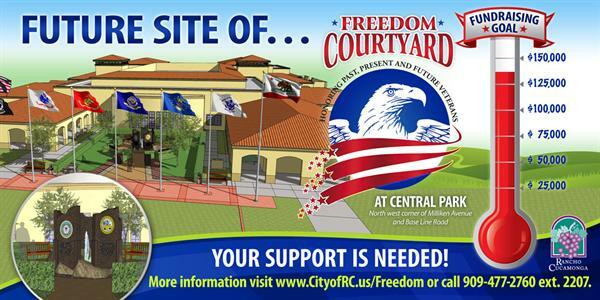 Come and see how the Freedom Courtyard is coming along.